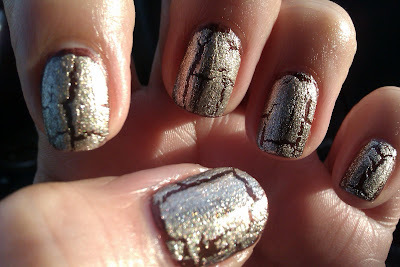 Today I have a last minute mani I did last night using China Glaze Unplugged & Sally Hansen Antiqued Gold Crackle. I had originally painted my nails with Orly Pixy Stix, and wanted to practice on my stamping, well the result was not so great, after looking at it for a while I took it off :( and did this mani while watching Jerseylicious LOL ... I should do better things w my life than watch re-runs of that show.. but I just cant help it!! Well alright, thats it for today! 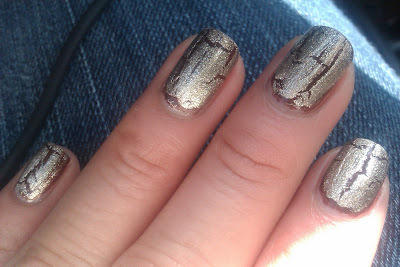 Umm, I like Unplugged but not so much the crackle the Sally Hansen gets. I'm very choosy+picky when it comes to that. I like smaller cracks and still be able to notice the polish underneath. I'll have to practise my stamping skills. Haven't used the new plates yet. 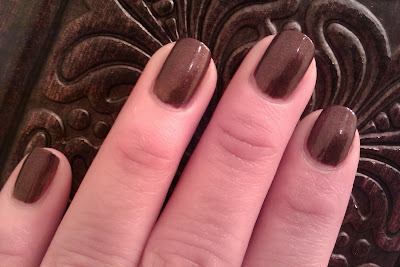 Lol, I couldn't hold myself and had to try my M-64 plate. 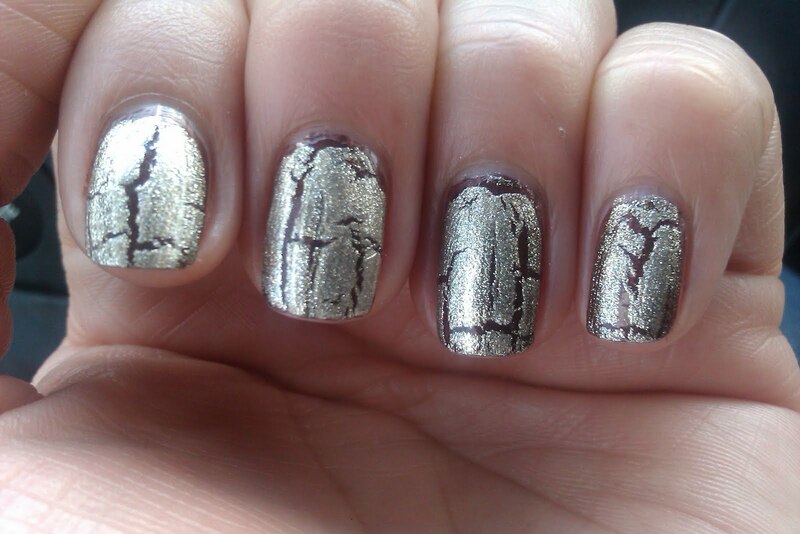 yeah I didnt like this crackle at all... So far the only one I like is the OPI Silver Shatter... Some of the China Glazer are ok too... Did you post a pic... i wanna see!!! !